In 1887, a Denver woman, a priest, two ministers and a rabbi recognized the need for cooperative action to address their city’s welfare problems. Frances Wisebart Jacobs, the Rev. Myron W. Reed, Msgr. William J.O’Ryan, Dean H. Martyn Hart and Rabbi William S. Friedman put their heads together to plan the first united campaign for 10 health and welfare agencies. They created an organization to serve as an agent to collect funds for local charities, as well as to coordinate relief services, counsel and refer clients to cooperating agencies, and make emergency assistance grants in cases which could not be referred. That year, Denver raised $21,700 and created a movement that would spread throughout the country to become the United Way. Over 125 years later, United Way is still focused on mobilizing the caring power of communities and making a difference in people’s lives. In Nashville, Tenn., the idea of coodinated fundraising gains support during World War I with the success of the War Chest Campaign. After the war, four men decide to continue this successful concept to support local health and human services. This was the beginning of what became the Community Chest. Nashville business leaders establish the United Givers Fund (UGF), replacing the Community Chest. UGF has its first $1 million workplace campaign. The UGF joins with similar organizations nationwide to become United Way. Discussion of creating a stand-alone United Way for Sumner County began as far back as 1967. Discussions took place in various forms until 1974, when increasing needs in the community made it clear that our community needed its own United Way. Wade Powers, then the Dean of Admissions for Volunteer State Community College and a member of the Sumner County Quarterly Court (now known as the County Commission), was approached to lead the local effort to form a United Way by the Area Wide Study Committee. Over the next two years, through several committees and meetings, the decision was made to create United Way of Sumner County in July 1977. The organization's first local fundraising campaign, with a goal of $150,000, was announced in a front-page story in the Sumner Times on Aug. 31, 1977. United Way of Sumner County celebrates its 20th Anniversary by raising $692,000 and supporting 41 local health and human service agencies. 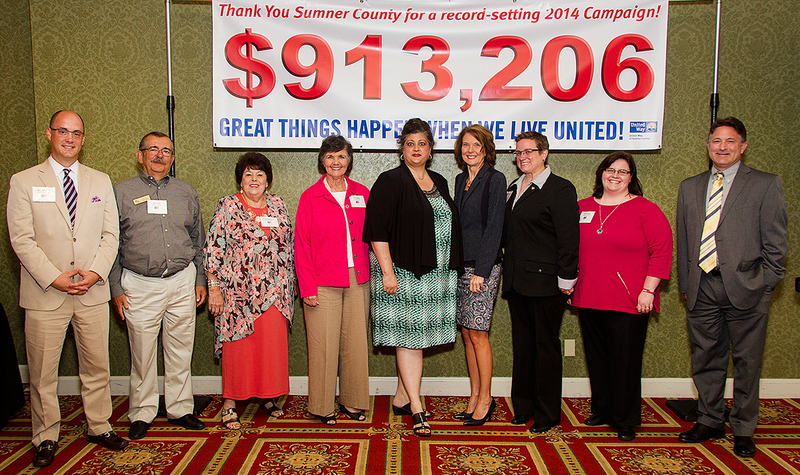 United Way of Sumner County sets a new fundraising record of $714,066. 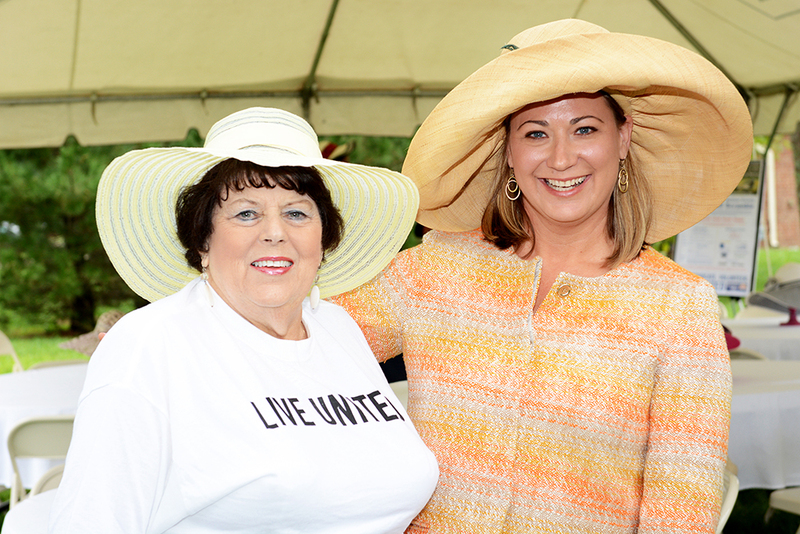 United Way of Sumner County celebrates its 25th year of caring in Sumner County. 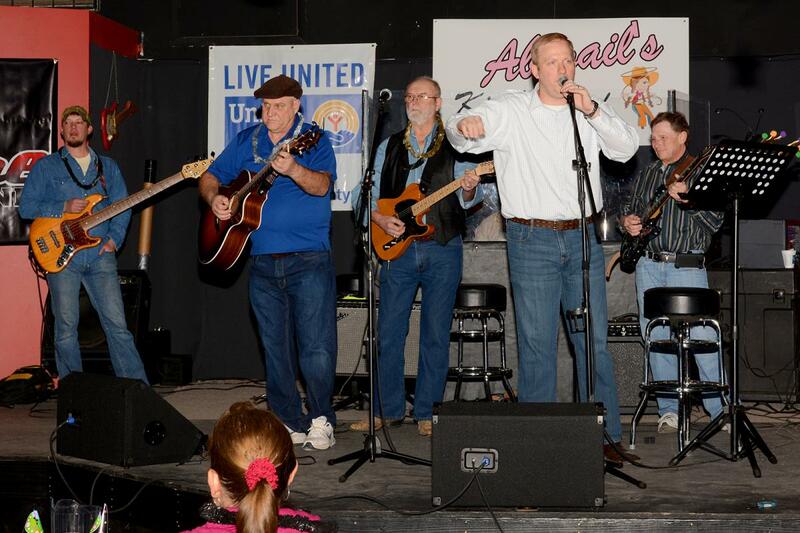 United Way of Sumner County has its second-largest fundraing campaign, raising $705,536. 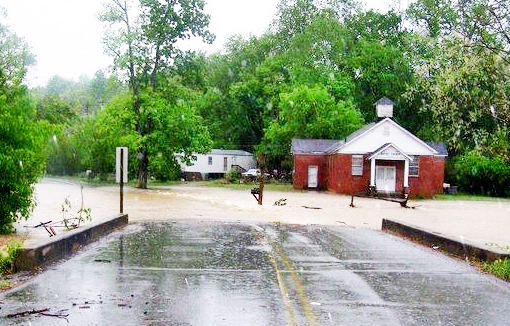 United Way of Sumner County responds to the early May floods that devastated Middle Tennessee by mobilizing resources and volunteers across the community to bring relief and hope to those affected by rains that total up to 19 inches in some areas. The Cumberland River crests at 51.86 feet in Nashville, a level not seen since 1937. In addition to raising money, collecting relief supplies and materials, and organizing volunteers, United Way of Sumner County works to coordinate relief efforts from various aspects of the community to make sure assistance gets where it is needed. United Way of Sumner County raises $694,444 at the conclusion of the 2010 Campaign, an increase of 11.11% over the prior year. UWSC moves into its new home on Hunt Club Boulevard and continues to improve the quality of life across Sumner County by allocating funds to 36 health and human service agency partners. United Way of Sumner County sets a new fundraising record, with donations to the 2011 Campaign totaling $715,448. More than 4,100 individuals contributed during the Campaign, which funds 36 health and human service programs across the county. More than 400 students receive backpacks filled with school supplies collected during UWSC's Stuff the Bus school supply drive. 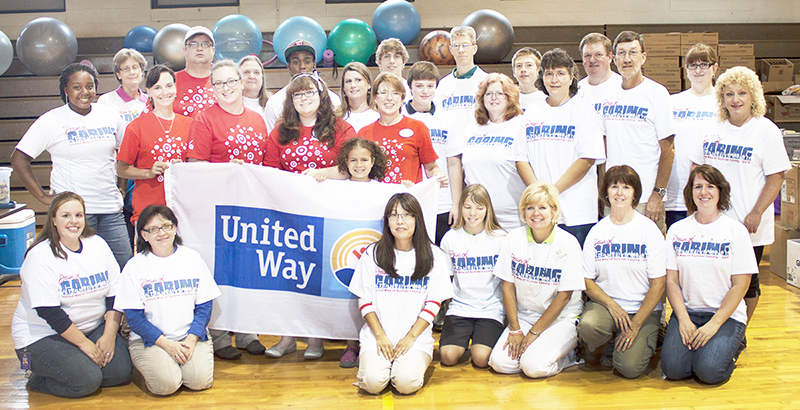 United Way of Sumner County takes its 2012 Campaign Kick-off on the road and visits five cities in a single day. Stops in Gallatin, Westmoreland, Portland, White House and Hendersonville each include a recap of the 2011 Campaign, early news from the 2012 Campaign, comments from UWSC and local officials, food, fun and free LIVE UNITED t-shirts. Sumner County residents exceed all expectations by donating more than 2,200 coats and jackets to the UWSC Winter Coat Drive, a dramatic increase over the 468 coats collected in 2009. The collected garments are provided to local residents through the assistance of numerous local agencies and organizations. Each donated item is cleaned by Signature Cleaners prior to being delivered. UWSC hosts the inaugural Sumner Soiree and raises more than $20,000 for the 2012 Campaign. 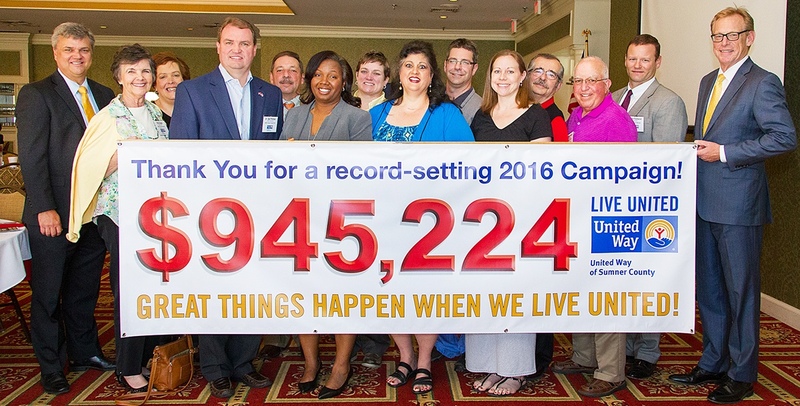 For the second consecutive year, United Way of Sumner County sets a new fundraising record, generating $816,628 during the 2012 Campaign. The total represents a 14.14% increase over the amount raised in 2011 and a third straight year of Campaign growth. United Way of Sumner County allocates more than $515,000 to local health and human service agencies in the community to meet the growing needs faced by area residents. More than 58 individuals take part in UWSC's Days of Caring by volunteering their time to tackle a variety of projects at local health and human service agencies. The number of Sumner County students who receive backpacks filled with school supplies collected during Stuff the Bus increases more than 75%, with more than 750 children receiving needed assistance. Stuff the Bus draws more than 70 volunteers, who assist in organizing and packing donated school supplies. In October, 60 golfers spent a picture-perfect Columbus Day (Monday, Oct. 14) participating in United Way of Sumner County's inaugural Charity Golf Scramble at The Club at Fairvue. Presented by Servis 1st Bank and Bone McAllester Norton PLLC, the Scramble raised $12,300 to support United Way of Sumner County programs. UWSC's 2013 Winter Coat Drive for Children and Youth collects and distributes 1,342 coats, all of which were cleaned free of charge by Signature Cleaners prior to being delivered to individuals in need. 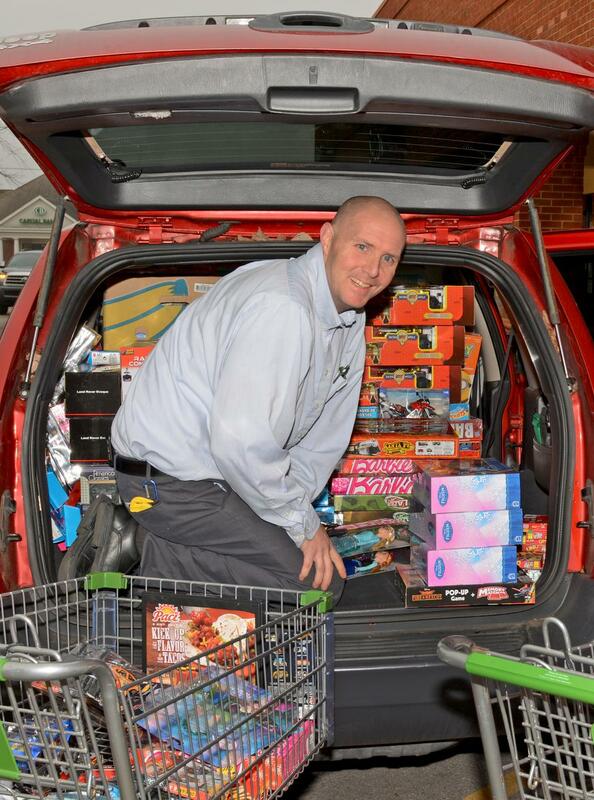 In the month of December, Publix in Goodlettsville and The News Examiner/Star News collected Christmas toys for children in need. United Way of Sumner County worked with the businesses and partner agencies to distribute the toys in time for the holidays. 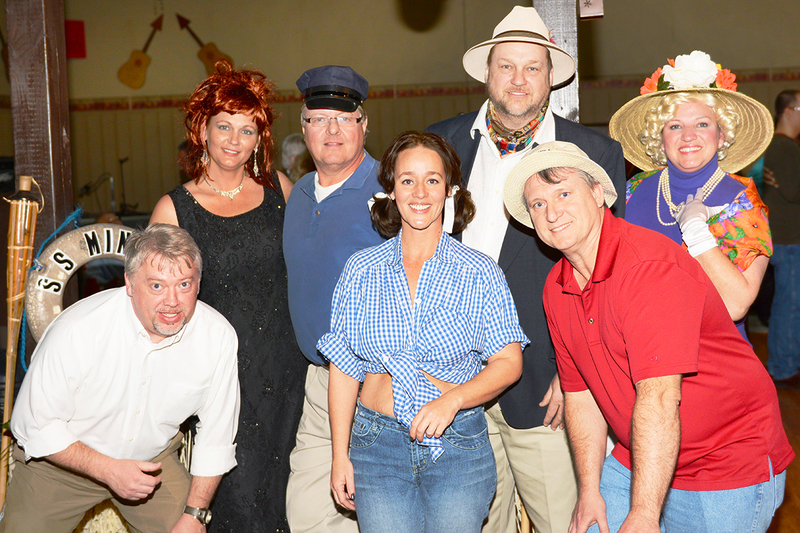 On Feb. 20, approximately 125 people braved threatening weather to come out and support United Way of Sumner County at the Celebrity Waiter and Waitress Fundraiser Dinner at Nana's Kitchen in Westmoreland. In addition to good food and a fun atmosphere, slightly more than $3,000 was raised for United Way of Sumner County at the event. The fundraiser was organized by Jan Braun of the Westmoreland Expo Center. 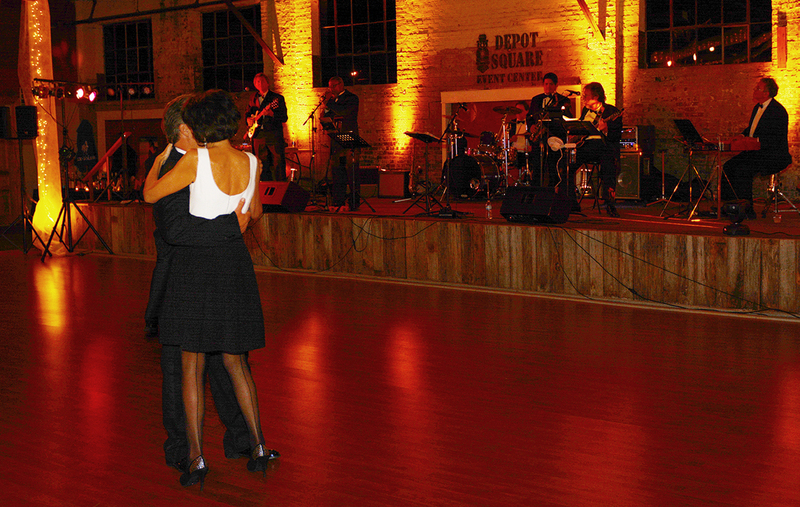 The second-annual Sumner Soirée was held March 8 at The Depot Square in Gallatin. 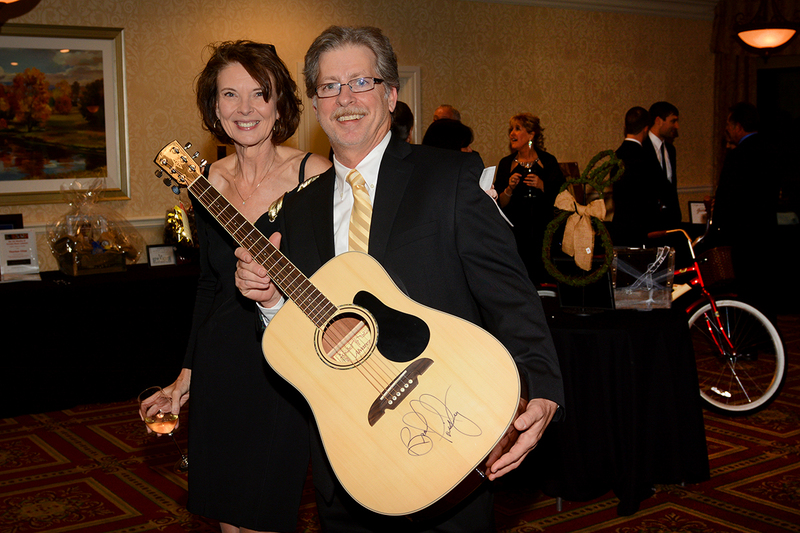 The gala event and auction drew more than 130 guests and raised more than $18,000. Sponsors for the 2014 Sumner Soirée were: Presenting Sponsors ITW and Tri-Star Hendersonville Medical Center; Gold Sponsor Wilson Bank & Trust; and Silver Sponsors Mark R. Lowhorn C.P.A. and Capstar Bank. 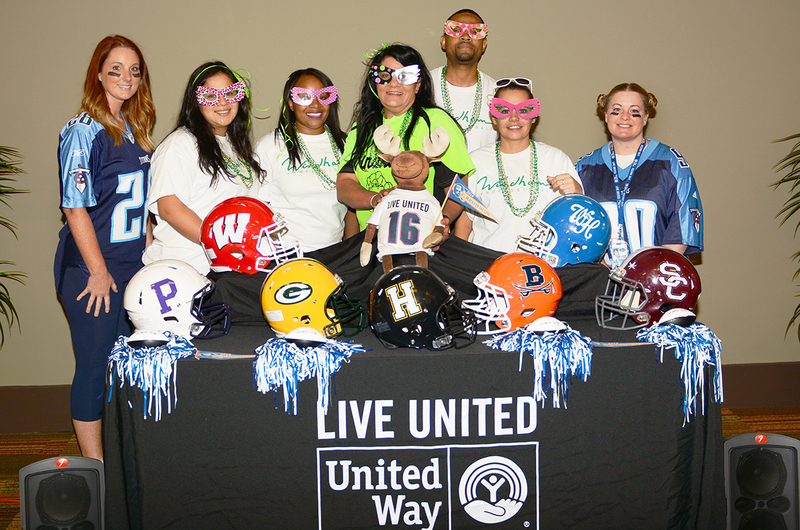 UWSC celebrated the March 31 end of the 2013 Campaign with its annual Awards Breakfast on April 11. The 2013 Campaign raised $798,295, the second-highest amount in our history. Jan Braun of Westmoreland was named UWSC's 2013 Fundraiser of the Year, and Donna Cantrell of ITW Dynatec was honored as UWSC's 2013 Volunteer of the Year. 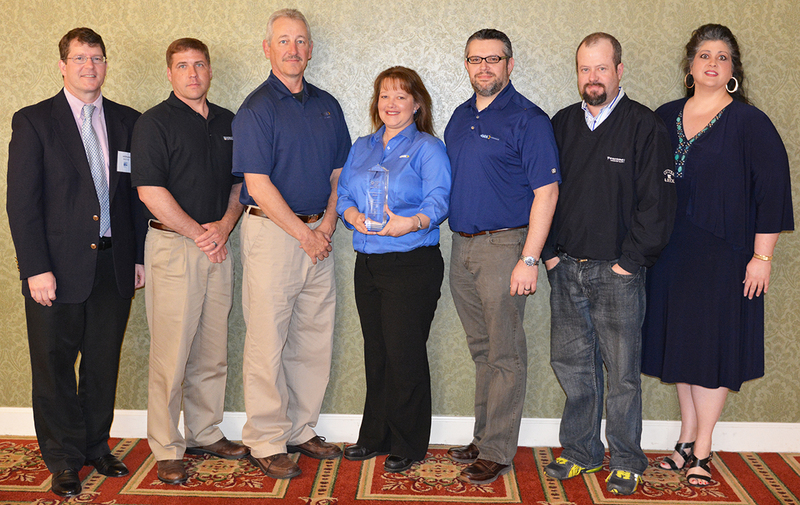 GKN>Hoeganaes was named the Hugh Carpenter Award winner for having the most outstanding workplace campaign of 2013. 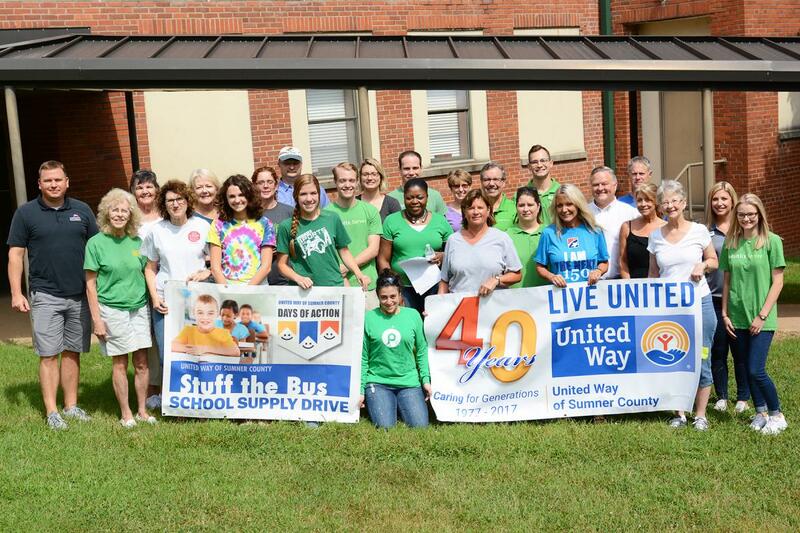 United Way of Sumner County's Stuff the Bus collected school supplies for donors across the county and provided more than 600 backpacks to low-income students prior to the start of the school year in early August. More than 65 people attended United Way of Sumner County's 2014 Campaign Kickoff Luncheon on Tuesday, Sept. 16. Sponsored by First Tennessee Bank, the Kickoff featured a festive atmosphere created by Kentucky Derby style "haughty hats" and men wearing "tacky ties." The biggest news from the event came from Publix Super Markets, which ended its United Way campaign at three Sumner County stores on Sept. 13. Goodlettsville Publix Manager Teri Schweiger, a member of UWSC's Board of Directors, announced that 365 Publix associates at stores in Gallatin, Goodlettsville, and Hendersonville pledged $104,363 toward the 2014 Campaign, an increase of $25,162 (32%) over the previous year. 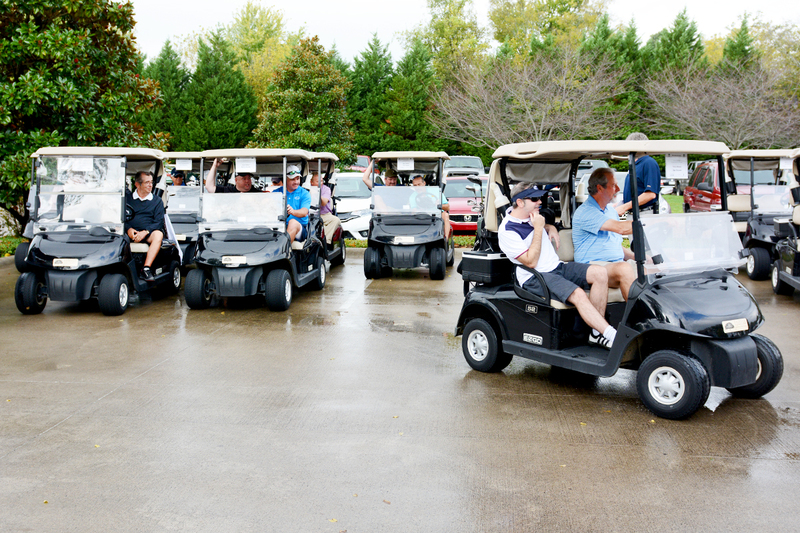 Ninety-two golfers gathered at The Club at Fairvue on Monday, Oct. 13, for the second annual United Way of Sumner County Charity Golf Scramble presented by Bone McAllester Norton PLLC. 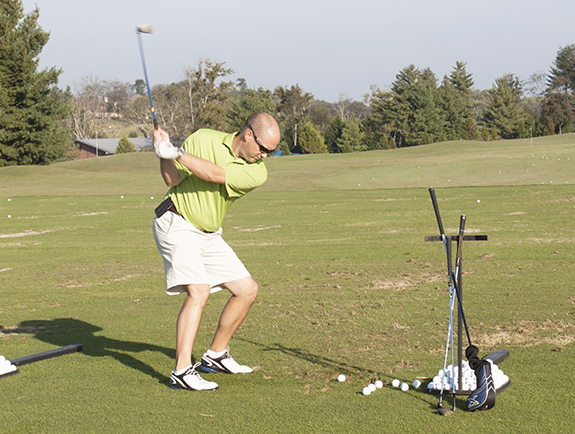 The 2014 Charity Golf Scramble raised $20,606 to benefit United Way of Sumner County programs that met more than 54,000 needs over the past year, an increase of 67% over the amount raised in 2013! 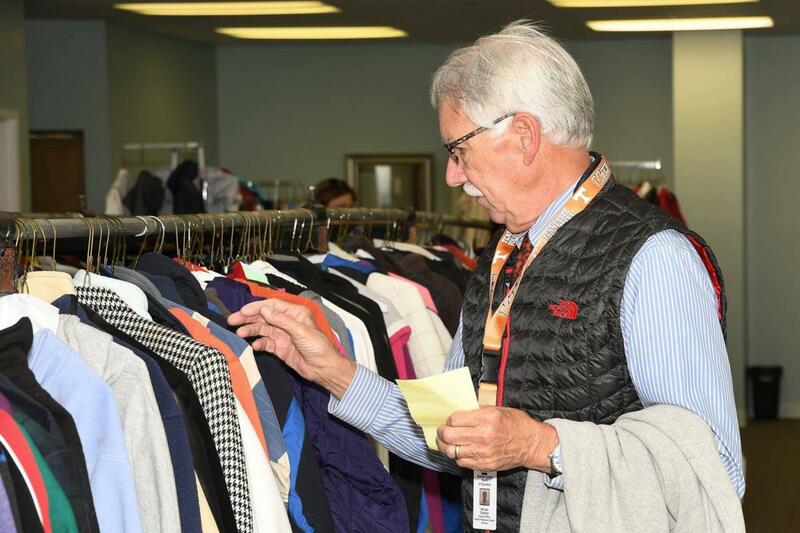 During October and November, United Way of Sumner County hosted its annual Winter Coat Drive, which resulted in 1,024 coats being donated for distribution to others. Signature Cleaners again cleaned every donated coat before it was presented to a new owner. 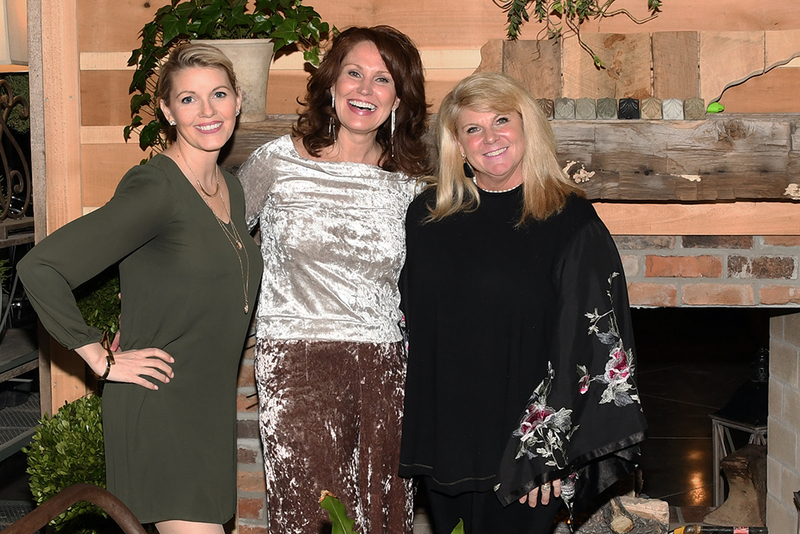 On Feb. 10, UWSC Board Member Jan Braun hosted the second annual Celebrity Waiter/Waitress Fundraiser Dinner to benefit UWSC at Abigail's Kitchen in Westmoreland. More than 80 people took part in the festivities that raised $2,254 and included costumes, live music, great food, and fun. For the second year in a row, Tobi Lee was the event's top fundraiser. Awards were given for friendliest table, most fun table, most elegant table, best decorated table, and most original theme. On Feb. 13, UWSC concluded its annual Winter Food Drive, With the help of donations collected across the county, the 2015 Winter Food Drive collected more than 2,900 items for distribution through our partner food banks to families in need. Thank you to everyone who contributed and to our volunteers who helped us make this activity a success. Special Thanks to Sumner Regional Medical Center for the use of Sumner Station for storage and distribution of our collected food. More than 130 people came out to Bluegrass Yacht & Country Club on Saturday evening, March 7, to support United Way of Sumner County at the 2015 Sumner Soirée Gala and Auction. The event raised approximately $25,000 and featured recognition of our 2013 Leadership Givers, testimonials from partner agencies, an update on the 2014 fundraising campaign, great food, fellowship, and a silent auction. Thank you to all of our sponsors, volunteers, partners, and especially our guests for making the 2015 Sumner Soirée to benefit United Way of Sumner County a great success! Volunteers, business leaders, government officials, donors, and other guests gathered at the Bluegrass Yacht and Country Club May 29, 2015, to celebrate United Way of Sumner County's record-setting 2014 fundraising campaign and to honor those who played a role in our success over the past year. In addition to revealing its 2014 fundraising total of $913,206, the annual Awards and Community Celebration Breakfast featured the presentation of awards to individuals and businesses that made a difference during the effort to raise the funds that will support UWSC's local partner agencies, which meet health, educational and human service needs of Sumner County residents. For the first time ever, an employee workplace campaign, Publix Super Markets, topped the $100,000 mark, and a school, Hendersonville High School, raised more than $5,000. 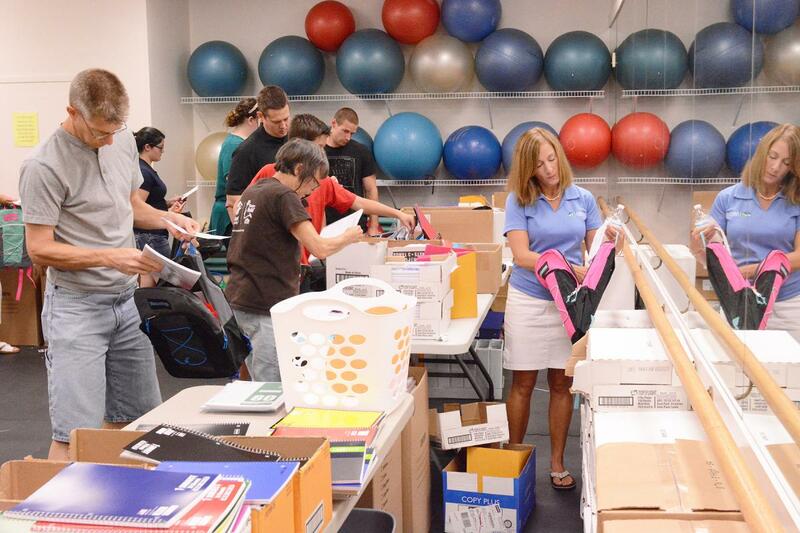 More than 100 volunteers took part in UWSC's 2015 Stuff the Bus school supply drive. Stuff the Bus packed and distributed 600 backpacks for students across the county, and the Portland Chamber of Commerce, in partnership with UWSC, gave out more than 700 additional backpacks. Because of the efforts of everyone who took part in Stuff the Bus, approximately 1,300 students will be able to attend the first day of school with the basic supplies they need to fully participate in the learning process. 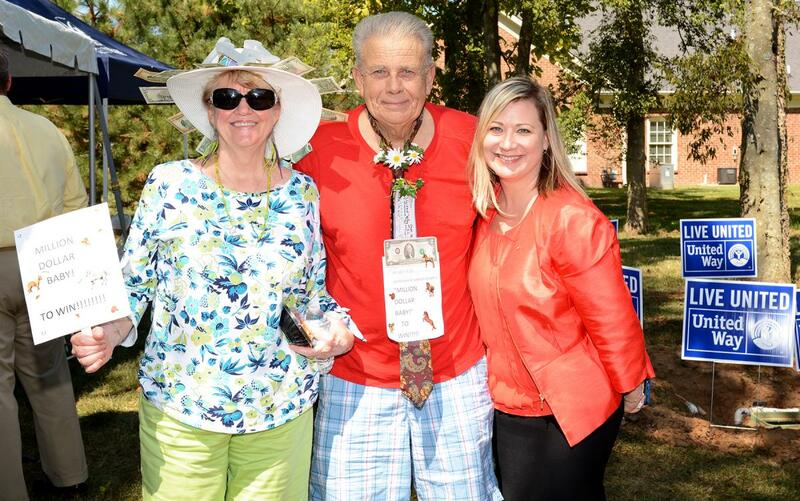 United Way of Sumner County officially launched its 2015 fundraising campaign to raise $1 million on Friday, Sept. 18, at the annual Campaign Kickoff event. More than 75 people turned out to show their support, enjoy lunch, hear campaign updates, model their haughty hats and tacky ties, and hear the announcement of a name for our Million Dollar Moose campaign mascot. Thank you to First Tennessee Bank for its sponsorship of the Campaign Kickoff and to everyone who played a role in making the event an outstanding success! 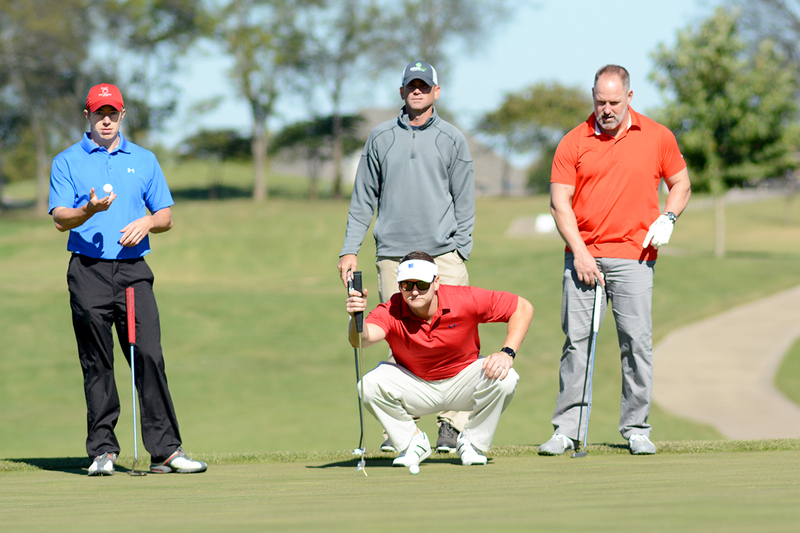 Ninety-three golfers gathered at The Club at Fairvue on Monday, Oct. 19, for the third annual United Way of Sumner County Charity Golf Scramble presented by Bone McAllester Norton PLLC and ServisFirst Bank. The 2015 edition of the Golf Scramble raised $20,231 to benefit the 30 programs supported by United Way of Sumner County. In October and Novmber, United Way of Sumner County held its annual Kids Coat Drive, and 836 coats were donated for distribution to those in need across the county. In addition to Signature Cleaners, which cleaned every donated coat free of charge, United Way of Sumner County would like to thank The Farmers Bank for serving as coat drop-off locations in Portland, Westmoreland, and White House. Additionally, special thanks to the following for organizing internal coat collections for this year's drive: the Sumner Association of Realtors, NASG in Portland, Tri-Star Hendersonville Medical Center, ServPro Industries, Hoeganaes, ITW CIP, ITW Dynatec, U.S. Bank, Peyton's MidSouth, MISA, Pope John Paul II School, and St. John Vianney School. Through the generosity of donors across the community, more than 1,500 Christmas toys passed through the doors of United Way of Sumner County in December, each on its way to making a difference in the life of a young local resident. More than half of the donated toys came from Publix Super Market customers in Gallatin, Goodlettsville, and Hendersonville. Additional toys were collected and donated by First United Methodist Church in Gallatin; the Sumner Association of Realtors; local author Angela Howell; and Walgreens in Hendersonville. The toys were then made available to United Way partner agencies for distribution to children served by their programs and to the Hendersonville Police Department for use with children in situations involving contact with emergency services. 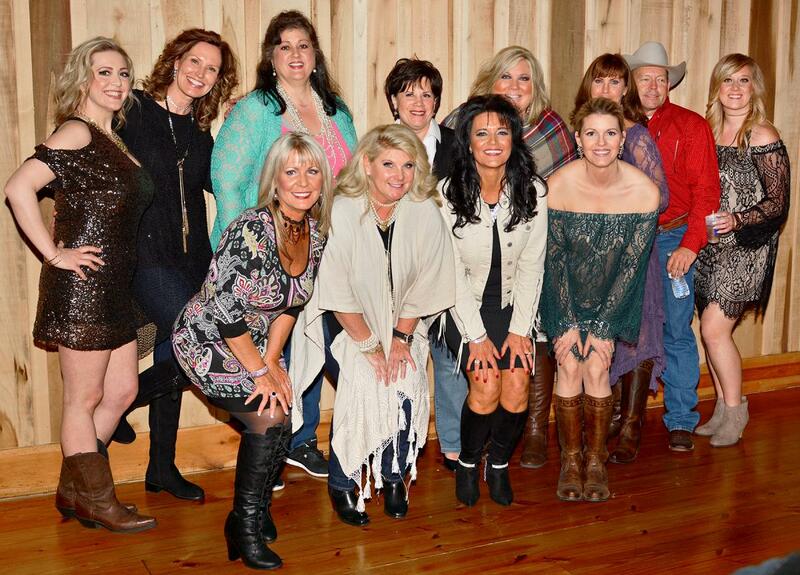 On Saturday, March 5, the combination of fun and fundraising with a western flair made United Way of Sumner County's Boots & Bling gala and auction one of the most successful nights in the organization's 39-year history. We had our largest crowd yet, with approximately 170 guests attending. We had more auction items donated than ever, with over 100 items up for bid. With the support of our sponsors, partners, guests, and those who had winning bids on one (or more) of our auction items, we surpassed the $24,800 we raised last year AND exceeded our ambitious goal of raising $30,000 by $5,000. Thank you to everyone who helped make this a truly amazing event. 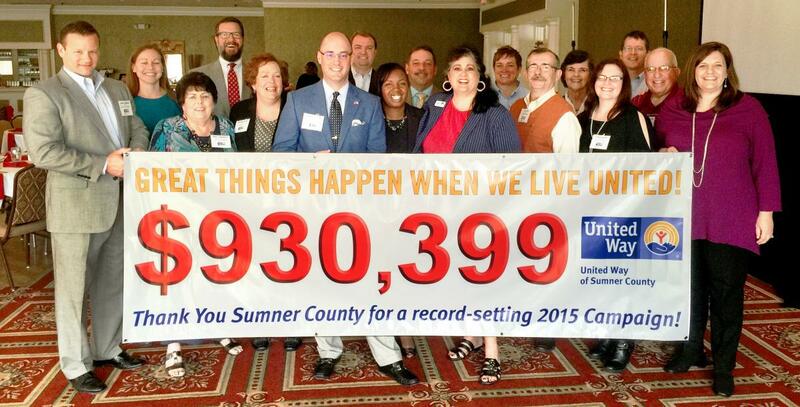 United Way of Sumner County celebrated its record-setting 2015 fundraising campaign during the annual Campaign Celebration Breakfast on Friday, April 15, at Bluegrass Country Club. 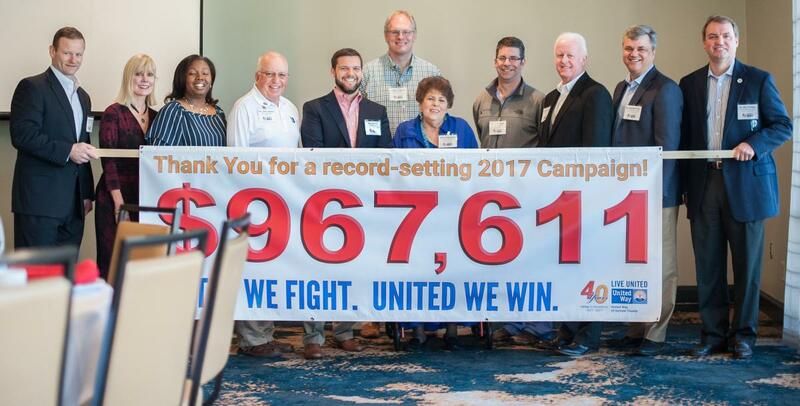 In addition to honoring workplace campaigns, volunteers, and others who made a difference during the past year, the organization unveiled its 2015 campaign total of $930,399. The campaign was the largest in UWSC's 39-year history, exceeding the $913,206 raised in 2014 by 1.88%. The successful campaign marked the fourth time in the past five years that UWSC donors propelled the organization to a new fundraising record. July and August saw the community come together like never before to support education in Sumner County. Approximately 600 local students were able to start the new school year with basic classroom supplies because of the contributions made by more than 40 volunteers, hundreds of donors, and many local businesses to United Way of Sumner County's Stuff the Bus school supply drive. How successful was it? Six hundred backpacks, filled with more supplies than ever before, were distributed throughout the county for delivery to students who needed them before the start of school. Those backpacks contained more than 12,000 items of basic school supplies. 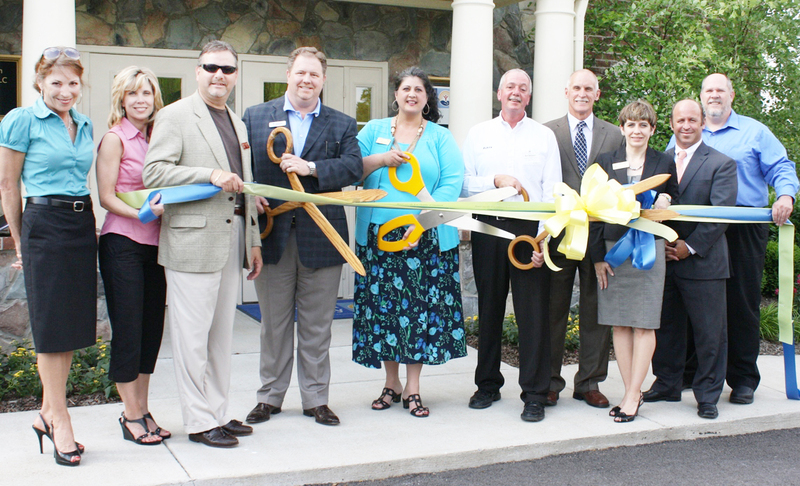 United Way of Sumner County launched its 2016 Campaign on Thursday, Sept. 1, with a Kickoff Tailgate Party and Pep Rally presented by First Tennessee Bank at the Hendersonville Library. Approximately 70 guests attended the event, which featured games, a complimentary lunch, the premier of UWSC's 2016 Campaign Video, and comments from UWSC President & CEO Dana M. Given, Daisy Casey from First Tennessee Bank, UWSC Board Chair Leisa Byars, and UWSC 2016 Campaign Chair James Fenton. 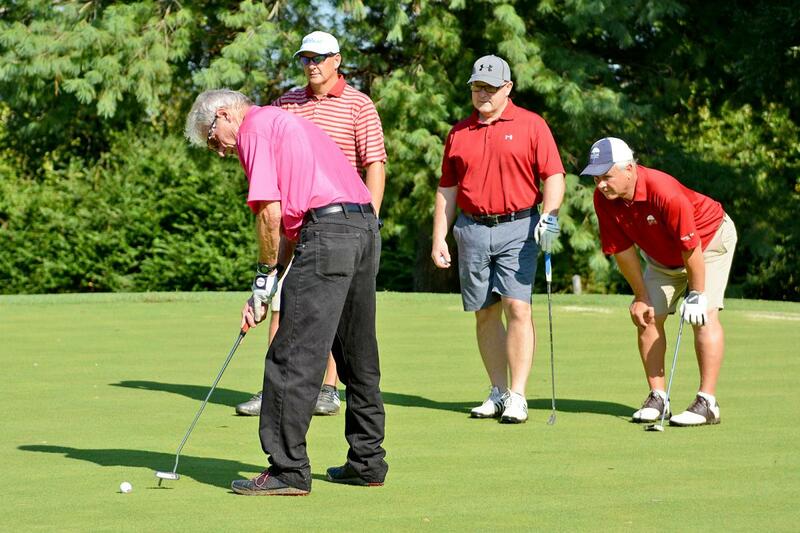 More than 80 golfers gathered under a sunny sky at Bluegrass Yacht & Country Club in Hendersonville on Monday, Sept. 19, for the 4th Annual United Way of Sumner County Charity Golf Scramble. Thank you to everyone who participated, volunteered, sponsored, and worked to help us raise nearly $18,000 at this year's event. Proceeds from the Scramble support the 2016 United Way Campaign, which benefits 31 non-profit health and human service agencies serving Sumner County residents. In October and November, Sumner County residents responded to United Way of Sumner County Kids Coat Drive by donating 675 winter coats to help keep others warm. 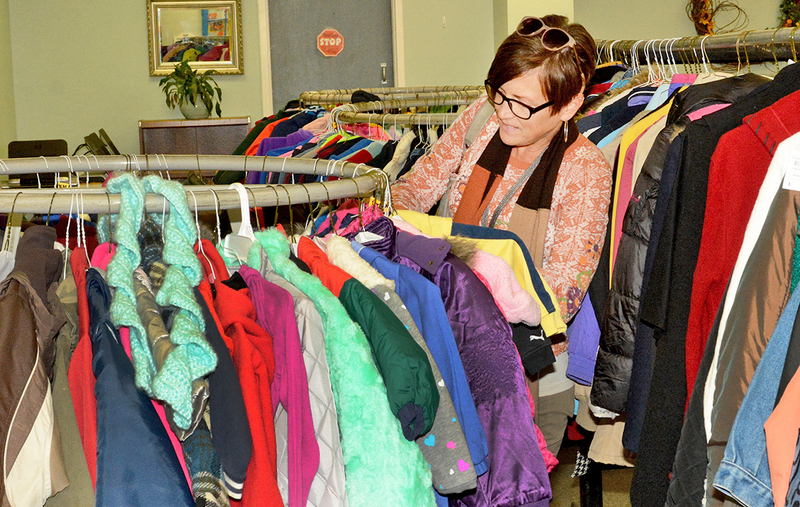 Local agencies began picking up coats for those in need on Dec. 2, and additional coats were distributed on Dec. 6. Most of the garments reached new owners prior to the arrival of the season's first bitter cold snap. Thank you to our continuing Coat Drive partner, Signature Cleaners, which again cleaned every donated coat free of charge. Over the past five years, Signature Cleaners has cleaned more than 6,000 coats donated to the coat drive. Without the support of Ed Vance and Signature Cleaners, our Coat Drive would not be possible. 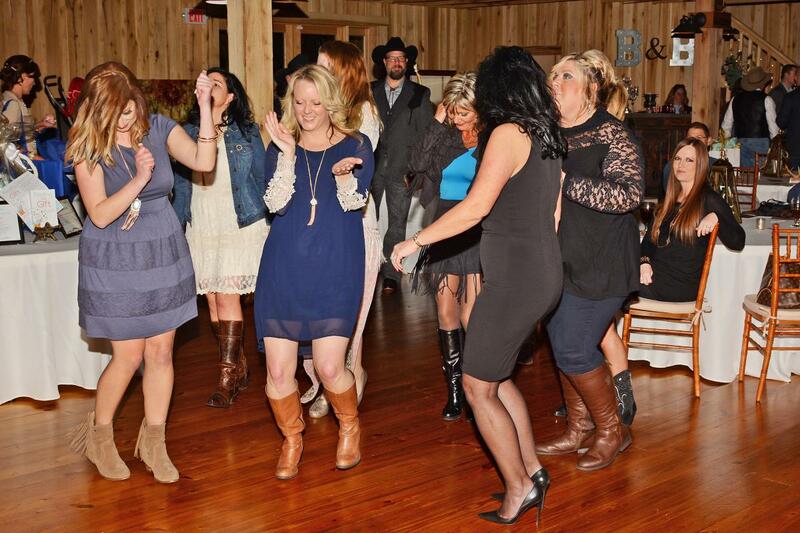 More than 160 guests enjoyed a night of fun while opening up their purse strings for others on Saturday, March 4, to make United Way of Sumner County's 2017 Boots & Bling gala the most successful fundraising event in UWSC's history. According to UWSC President & CEO Dana M. Given, Boots & Bling raised $40,000, an increase of $5,000 over the previous year's event.Thank You to our organizing committee under the leadership of Susan Gaimari; Presenting Sponsors The Goddard School, TriStar Hendersonville Medical Center, ITW, and Dollar General; our sponsors and partners; auctioneer Ed Cope; The Mending Fences Band; our event volunteers; those who donated auction items; and our guests who made the night one to remember. We are already looking forward to an even bigger event in 2018. On April 13, United Way of Sumner County officials announced that donations from local residents boosted 2016 fundraising campaign to a third consecutive record-setting total, a feat last accomplished in 1995. The 2016 Campaign, which began in April 2016 and ended on March 31, raised $945,224. The new record amount is an increase of $14,825 (1.59%) over the $930,399 raised the previous year. The fundraising total was announced at the organization's annual Campaign Celebration Breakfast, where UWSC recognized numerous campaigns and individuals for their efforts during the year. Pat Gizelar was named UWSC's Volunteer of the Year; the Boots & Bling Organizing Committee was honored as Fundraiser of the Year; and Sumner County Schools took home honors for the best workplace campaign of 2016. At its annual Campaign Celebration Breakfast on April 13, United Way of Sumner County began a yearlong celebration of the 40th anniversary of its founding. Through the conclusion of the 2017 campaign on March 31, 2018, UWSC will celebrate the past 40 years and all of those who have helped make this organization successful through the use of a special-edition 40th Anniversary Logo. The organization hopes to capitalize on the excitement surrounding the anniversary and the momentum of setting new fundraising records in five of the past six years to raise $1 million for the first time! For the seventh year in a row, United Way of Sumner County's Stuff the Bus school supply drive made a difference in the lives of local students. Through the tremendous support we received from donors, volunteers, local businesses, and individuals across the county, this year's Stuff the Bus was the most successful ever. Approximately 75 volunteers stuffed 800 backpacks that will help local students start school with the tools they need to learn. The supplies included in those backpacks included:more than 2,400 packages of notebook paper,19,000 pencils, 1,200 boxes of crayons, 500 bottles of glue,4,000 pocket folders, 2,500 spiral notebooks, hundreds of packs of colored markers and colored pencils, and much more. United Way of Sumner County officially launched its 2017 fundraising campaign on Thursday Aug. 31, with a '70s themed kickoff party at the Hendersonville Library. More than 80 people attended the event that featured a tribute to the original members of the UWSC Executive Committee (Board) in honor of our 40th anniversary. 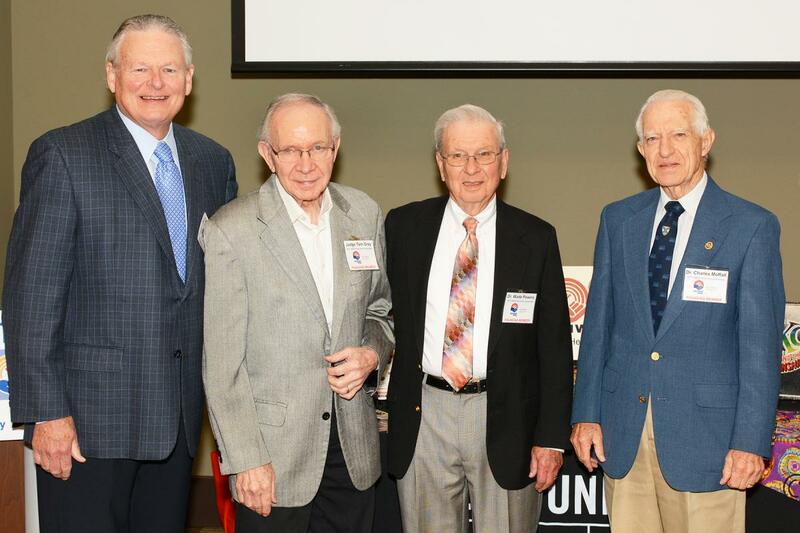 Thank you to founding members Dr. Wade Powers, Judge Tom Gray, Dr. Charles Moffatt, and Mr. Charles Bone for joining us on this special occasion; Daisy Casey and First Tennessee Bank for sponsoring our Kickoff; T's Hot Chicken Shack for being our lunch partner; Publix Super Markets for providing our 40th Anniversary Cake; the Hendersonville Library for hosting our event; and everyone who came out to help us launch our 40th Anniversary Campaign. 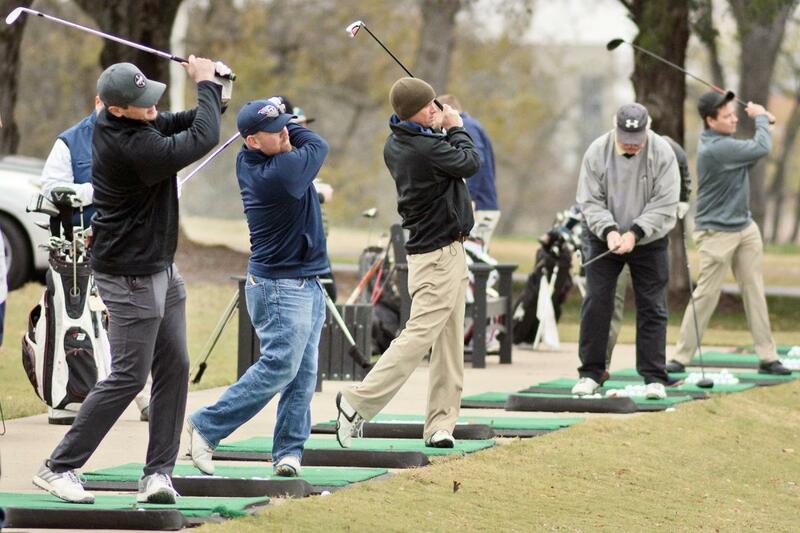 More than 70 golfers braved a stiff breeze, overcast skies, and cold temperatures to benefit others during the Fifth Annual United Way of Sumner County Charity Golf Scramble on Monday, Nov. 13, at Bluegrass Yacht & Country Club in Hendersonville. Presented by ITW CIP and ITW Dynatec, the scramble raised more than $21,000 to benefit United Way of Sumner County programs and agencies despite having been postponed several weeks due to weather. During October and November, UWSC hosted its annual Kids Coat Drive to benefit young people across the community. This year's drive was a huge success, with more than 700 coats donated. Thank you to everyone who donated coats, all the businesses that held collection drives, HATS for serving as our storage and distribution site, The Farmers Bank in Portland, White House, and Westmoreland for being drop-off sites, and Ed Vance and Signature Cleaners for again cleaning and delivering all the donated coats. On Friday night, March 2, United Way of Sumner County hosted the Bloomin’ Bash gala & auction to benefit its annual fundraising campaign! Held at Long Hollow Gardens in Gallatin, the event hosted 130 guests and raised more than $35,000. Thank you to Long Hollow Gardens for donating the use of their beautiful venue; Presenting Sponsors TriStar Health, ITW CIP & Dynatec, Sumner Regional Medical Center, and Dollar General; Silver Sponsors The Goddard School and Amaranth Designs; Bronze Sponsors Wood Financial, ProAdvantage Supply Chain Services, Forward Sumner, and The Gaughan Team (Mike & Lindy Gaughan) at Re/Max Choice Properties. Volunteers, business leaders, donors, and other guests gathered at the Bluegrass Yacht and Country Club on April 20, 2018, for United Way of Sumner County's annual Community Celebration Breakfast. In addition to revealing a record-setting 2017 fundraising total of $967,611, Michael Morrison of TriStar Skyline Medical Center was named UWSC's Volunteer of the Year, Amie Davenport of ITW CIP was recognized as our Advocate of the Year, Andy Brown of Sumner County Schools was honored as Fundraiser of the Year, and Sumner County Schools won the award for being best campaign of the year. The 2017 Campaign was the organization's fourth consecutive record-breaking fundraising year.